The rebellious ribbon handles and collapsing folds that mingle around George Ohr's vases seem to behave themselves just fine once they reach Rago's high-end, fall catalogs. It is with Rago, and more specifically David Rago, that the utter strangeness of George Ohr can be taken seriously - very seriously. David Rago has been auctioning ceramic wonders by George Ohr since the 1980s, well before the 19th Century eccentric gained recognition in the art market. 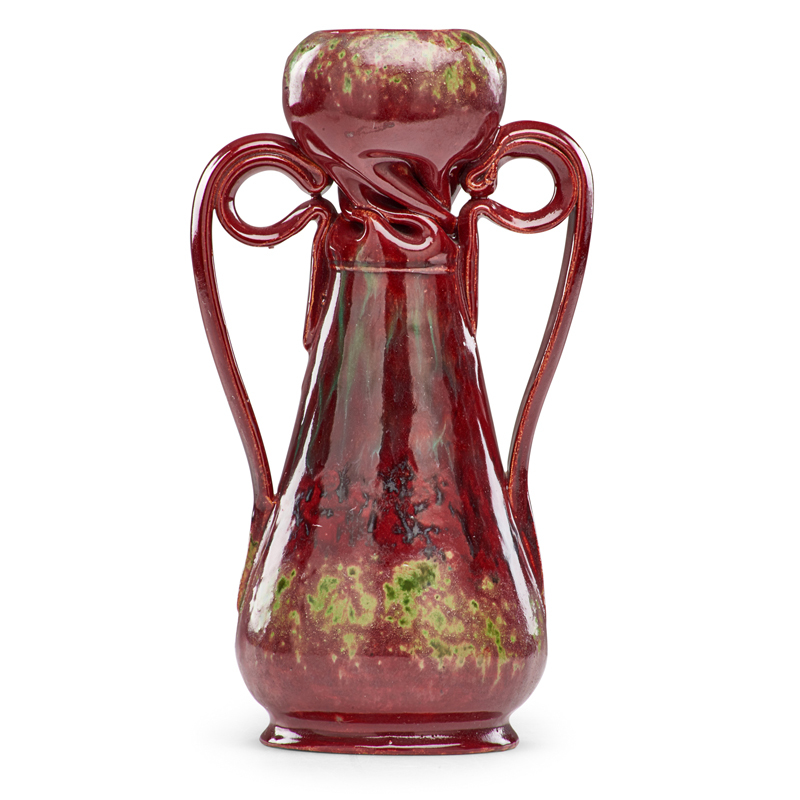 The consistent consignment of stunning rarities at Rago, along with steadily growing interest in the artist (over the course of several decades) has nurtured a passionate desire for Ohr that burns as hot as his fire-red glazes. Here to flex, bend and stretch themselves in a variety of sensational directions, is an exciting arrangement of twenty works by George Ohr offered in Rago's, Early 20th C. Design, featuring The Reese Collection of Lalique Glass sale on September 22nd. Headlining the group is lot 236, an Exceptional Tall Vase with Ribbon Handles - a beauty that is expected to ignite a feverish flash of bidding activity. Click here to view all of Rago's upcoming sales on Bidsquare. Ranking high at Skinner's, Fine Prints & Photographs sale on September 21st is a repetitious grid of faces by Andy Warhol titled, Portraits of the Artists from 1967, depicting a veritable who’s who of New York’s 1960s art scene. 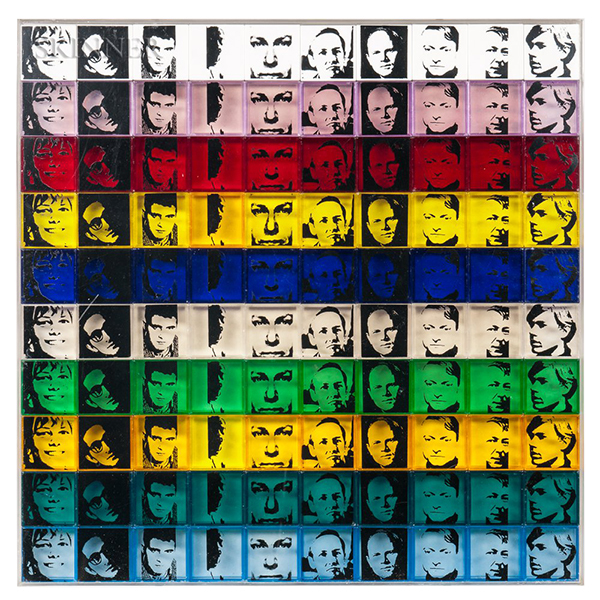 The set of 100 screenprints on polystyrene boxes, in ten different colors, contains all the "cool factor" that can be expected out of a Warhol. Click here to view all of Skinner's upcoming sales on Bidsquare. 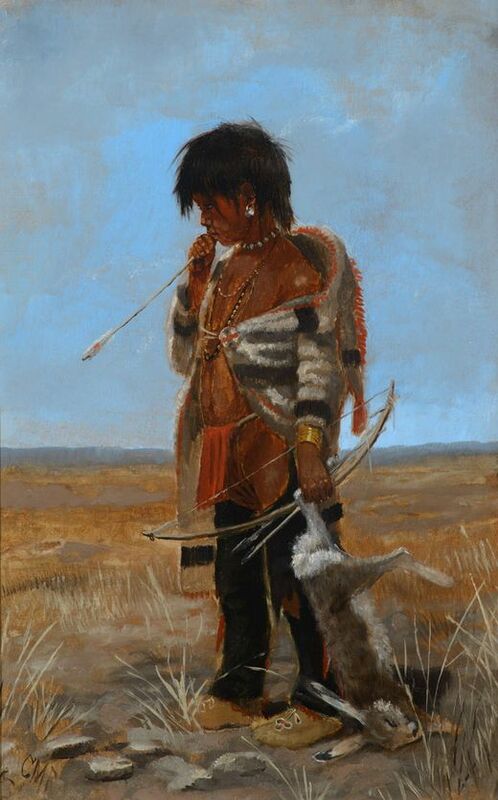 Representing an impressive display of Native American artworks this fall is Cowan’s Auctions, American Indian and Western Art: Premier Auction on September 21st. The top lot of the day is expected to be lot 236, a rare Pueblo painted buffalo hide shield with cover, from the Saunders Collection. The shield is decorated with iconography of two Avanyu, or water serpents, flanking a central hourglass element. 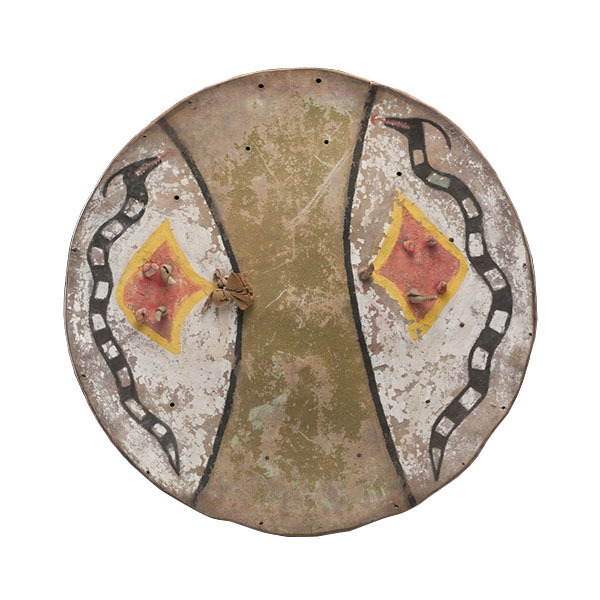 The shield also includes a painted hide cover decorated with buffalo and raincloud imagery, an unusual feature for a shield from the Pueblo tribes. Click here to view all of Cowan's Auctions upcoming sales on Bidsquare. Dominating the realm of antique American and European furniture is Pook & Pook's upcoming 2-Day, Americana & International sales on September 14th-15th. Amongst the vibrant folk art, figural weathervanes, embroideries, silver sets and more, is a robust group of twenty Pennsylvania Chippendale furnishings that boast exceptional early American craftsmanship. 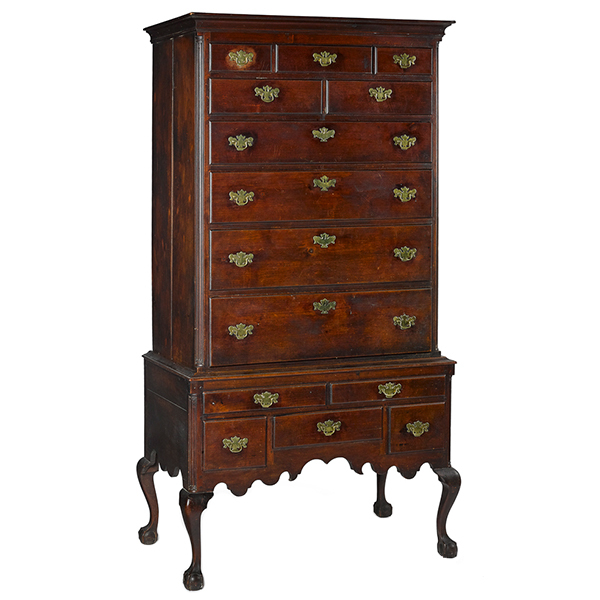 Highlighting the group is lot 317, Pennsylvania Chippendale walnut high chest, ca. 1765, standing at over six-feet tall and retaining an old historic surface as well as original brass hardware. 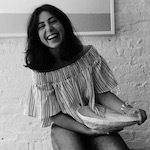 Click here to view all of Pook & Pook's upcoming sales on Bidsquare. 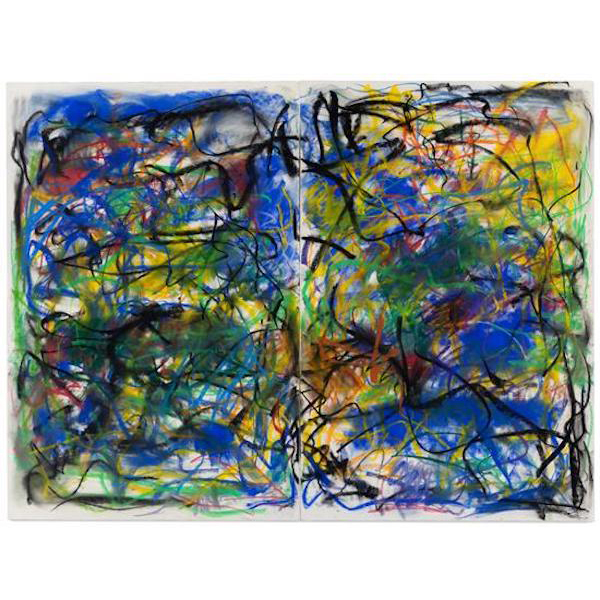 Leading Leslie Hindman Auctioneers, Post War and Contemporary Art sale on October 2nd is a fiercely charged work on paper by Joan Mitchell, the renowned American Abstract Expressionist painter and printmaker. Alive and connected like an entanglement of lines and colors, lot 126, produced in 1991 is a superb example of Mitchell's physicality and unapologetic drawing style. Click here to view all of Leslie Hindman Auctioneers upcoming sales on Bidsquare.